Between 3 to 20 percent of women with breast cancer will develop another primary cancer tumor in the opposite breast within ten years of the first diagnosis. Though previous studies have identified some environmental, genetic, and treatment-related risk factors for contralateral breast cancer, scientists still don’t fully understand what causes these second primary cancers. The Fred Hutchinson Cancer Research Center recently received $7.1 in research funding from the NIH’s National Cancer Institute to help researchers gain a better understanding of the risk factors that lead to contralateral breast cancer (CBC). This 4-year research project will be led by epidemiologist, Dr. Kathleen Malone. The study is designed to address the fact that, despite advances in characterizing the etiology of CBC, a large fraction of CBC incidence remains unexplained. This hinders scientists ability to develop accurate prediction tools, which would be pivotal in the creation of effective CBC prevention as well as improved therapeutic strategies for breast cancer survivors. Professor Malone believes women, and their doctors, need to have an accurate estimate of their risk of developing a second primary cancer, because those at high risk may benefit from heightened surveillance and prophylactic treatment such as tamoxifen. It is also important when considering how first cancer therapy choices might decrease the risk of later cancers. In an article for Hutch News she also explains that it’s just as important for women at low risk of another cancer to know that. Currently, the rate of prophylactic mastectomies in the unaffected breasts of breast cancer patients is on the rise. This is true even among women without a known cancer-driving mutation such as those in the BRCA 1 and 2 genes. Being able to make a more informed decision may prevent woman from having unnecessary surgeries. Dr. Malone and her team will study the molecular features of first primary tumors to see if they might be useful indicators of CBC risk. Researchers will be using cutting edge genomic technologies to interrogate first primary tumors. They will also assess the concordance of molecular features in paired first and second primary tumors to clarify the biology of CBC and any shared etiologic mechanisms. This study builds on the Women’s Environmental, Cancer, and Radiation Epidemiology (WECARE) Study, a large population-based study of women with one or two primary breast cancers. The newly-funded study focuses on identifying molecular biomarkers for risk of a second primary breast cancer. Researchers will study the tumors of approximately 1,100 women, half who had only a single primary breast cancer and half who went on to develop a contralateral tumor. Along with Dr. Malone, other Fred Hutch researchers involved in the study include Drs. Peggy Porter and Li Hsu. Other participating institutions include the Cancer Prevention Institute of California, the Sinai Health System in Toronto and the University of Iowa. 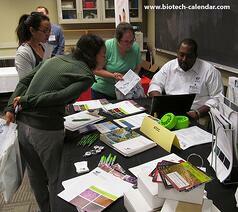 On Wednesday, October 11, 2017 Biotechnology Calendar, Inc. will host the 12th Annual BioResearch Product Faire™ Event at Fred Hutchinson Cancer Research Center. In the first half of 2017, this research center received over $200 million in NIH funding. This biotechnology trade show is a great opportunity for laboratory suppliers to market their products directly to these well funded life science researchers. 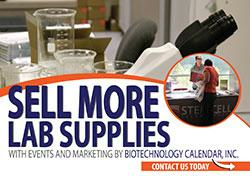 Those wishing to increase their laboratory product sales should plan on participating in this event. Science professionals are invited to attend for free!